GBR 90 Scoundrel at the 2009 ISMA World Championships in Newport, Rhode Island. Photo copyright: Dana Olsen. Peter Gerard (ITMA Vice President), Brad Read (Executive Director of Sail Newport) and Jamie Hilton met today to move the plans along for the Meterfest. The dates are now firm. Sailing dates will be June 9-11 and will coincide with the New York Yacht Club Annual Regatta. The opening social event will be at Sail Newport the evening of Thursday June 8. Sail Newport has already reserved their docks for all the fleets to dock. Keep in mind that it is very important to have all the meter boats in one location to optimize the public's ability to come and see all the boats in one "walk about". A more detailed "Notice of Event" will be forthcoming in the next week or so that will be suitable for distribution to each classes membership as well as on each classes , and local fleets thereof, respective website. For now spread the word to your respective fleet that the event is going to happen and they ought to start making plans and getting ready for a truly unique competition and celebration for boats designed to the International Rule. 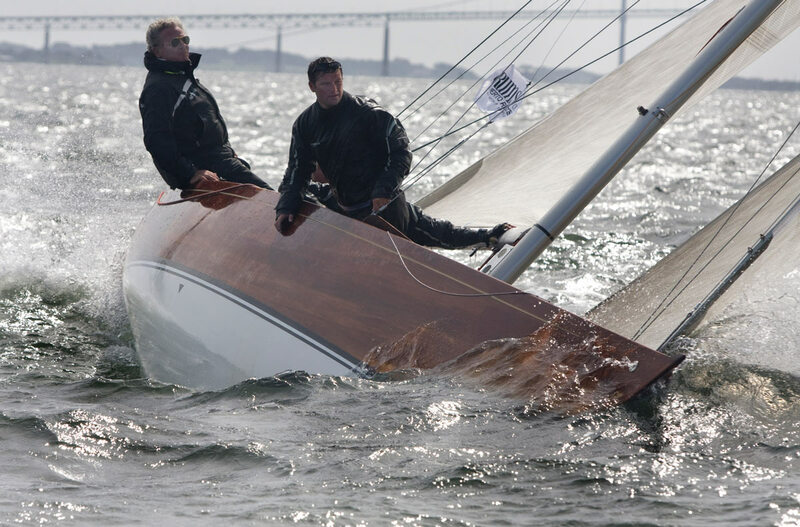 It was a world-class regatta in a spectacular location and those who made the trip are still talking about the 2009 Six Metre Worlds in Newport, Rhode Island. Now’s your chance to see for yourself what makes Newport one of America’s most celebrated sailing venues, strategically timed as a first stop for the 6 metres en route from Europe to Vancouver, B.C., Canada for the International Six Metre Worlds scheduled for September 15 - 17, 2017. The 2017 WorldWide MetreFest is a multi-day, multi-class regatta to be held June 8-11, 2017, coinciding with the 2017 New York Yacht Club Regatta scheduled for June 9-11, 2017. The event itinerary includes a crowd-pleasing combination of competition on the water and social activities on land, with at least five days of high quality racing and a full week of dinners, cocktail parties, along with a chance to visit Newport’s many historic and maritime attractions. MetreFest race operations will be based at Sail Newport, the same facility that hosted last year’s Volvo Ocean Race stopover, just across the water from the NYYC’s incomparable Harbour Court clubhouse, ensuring a first-class experience for all participants. The MetreFest has already attracted dozens of confirmed participants -- including entries in the 2.4, 6, 8 and 12 metre classes, evidence of a dramatic resurgence in metre boats among US sailors. At last year's NYYC Annual Regatta there were nine 12-metre boats racing, and another two to six 12-metres from the area are expected to join them by the MetreFest in 2017, boats that are newly restored and will now be actively campaigned for the first time in many years. A growing number of local 6's will also be participating. As momentum builds in the coming months, the 2017 MetreFest promises to become one of the largest gatherings of its type since the glory days of metre boats almost a century ago, a singular opportunity for metre boat enthusiasts of all classes to race together and learn from each other. If you would be interested in hearing more about the MetreFest, making the most of your North American campaign in 2017, please email ISMA Class President Matt Brooks at rewmb@aol.com or MetreFest organizer Jamie Hilton at hiltongroup@aol.com.